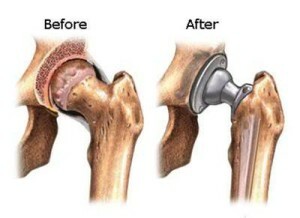 Total Hip Replacement - DOCJOINTS//DR SUJIT JOS//Total joint replacements with the best quality care at affordable price options at kochi, Ernakulam, Kerala, India / Knee, hip, shoulder, ankle, elbow replacement, Sports Medicine – Keyhole / Arthroscopy for Sports Injuries / cartilage preservation and cartilage regeneration techniques / minimally invasive subvastus / rotator cuff repair, biceps tenodesis, subscapularis repair, shoulder dislocation, bankart, Latarjet / Dr Sujith Jose is a renowned Orthopedic surgeon with vast experience in Joint replacement and satisfied patients from all around the world. Economical / budget knee done as special package price/ cartilage restoration, OATS, Ankle arthroscopy/ acl pcl mpfl meniscus repair/ wrist arthroscopy tennis elbow/ modular imported high quality operation theatre – Johnson & Johnson theatre with double lamina flow – The best care for your joint problems! 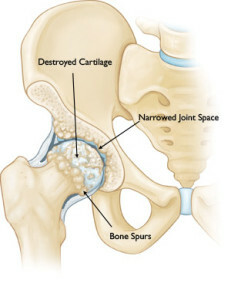 Arthritis of the hip can be a debilitating condition that leads to pain, immobility, and a decreased quality of life. Common symptoms include groin pain, hip stiffness, and gait abnormalities. 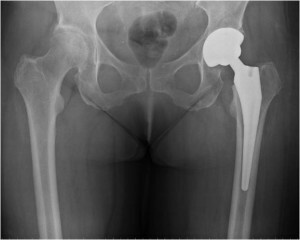 When non-operative treatment fails then total hip arthroplasty (replacement) is an excellent option. 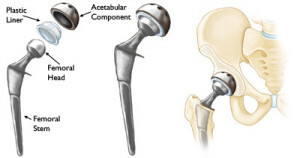 Total hip arthroplasty is one of the most successful procedures in all of medicine. When done correctly results are generally excellent. 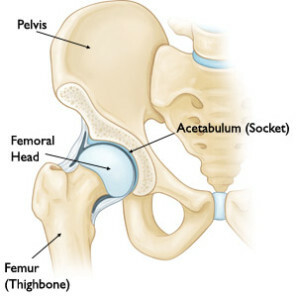 Hip replacement involves removal of the arthritic surfaces of the femoral head (the “ball”) and the acetabulum (the “socket”). The acetabulum is resurfaced with a prosthetic cup and a modular liner. 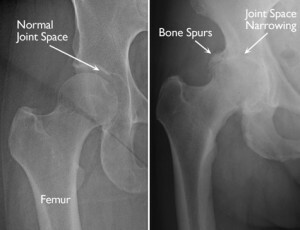 The femoral head is replaced with a femoral stem and prosthetic ball. The prosthetic bearing surfaces of the headball and cup can be made from one of several materials including cobalt chromium (metal), ceramic, and polyethylene (plastic). Each of these bearing options carries different risks and benefits. The type of bearing surface utilized depends on several factors including patient age, activity demands, and surgeon experience. A patient is encouraged to discuss these options with his/her surgeon when considering total hip replacement. Total Hip replacement (THR) is indicated for arthritis of the hip that has failed to respond to conservative (non-operative) treatment. Although you will be able to walk with crutches or a walker soon after surgery, you will need some help for first 4 weeks with such tasks as cooking, shopping, bathing, and laundry. If you live alone, your orthopaedic surgeon’s office, a social worker, or a discharge planner at the hospital can help you make advance arrangements to have someone assist you at your home. A short stay in an extended care facility during your recovery after surgery also may be arranged. Sutures are removed at about 10 days. Surgery may be uncomfortable in the first couple of weeks, but eventually it would mean the difference between leading a normal life or putting up with a debilitating condition. Surgery can be regarded as part of your treatment plan- it may help to restore function to your damaged joints as well as relieve pain.